Learn and offer the most demanded service within the hairstyling business. At National Institute, the Hair Cutting course structure is designed with equal emphasis on theory and practice. You will learn the materials through lectures, DVD presentations, demonstrations, and practice on human hair mannequins. Over time, as you build your skills, you will practice on real clients under the instructor’s supervision in our very own salon and clinics. 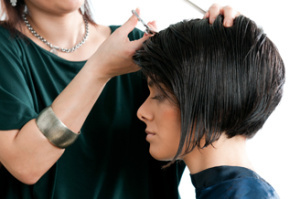 Career Path: Whether you are looking to work at a salon or thinking of starting your own business, the hair cutting certificate will serve as an attractive add–on for a potential client or an employer.